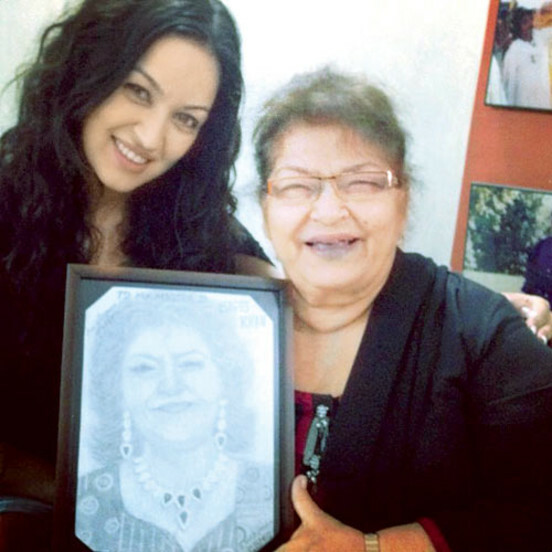 Summary: Half Iranian-half Swedish actress Maryam Zakaria who is known for her item numbers in films like Agent Vinod and Rowdy Rathore recently presented a unique gift to veteran choreographer Saroj Khan, after attending her classes. Maryam wanted her farewell gift to be special and after a lot of thought she came up with the idea of getting a custom made painting done of her beloved 'Saroj-ji. Saif Ali Khan: I was Hit First!